How will soccer fans get to Minnesota United's new stadium? 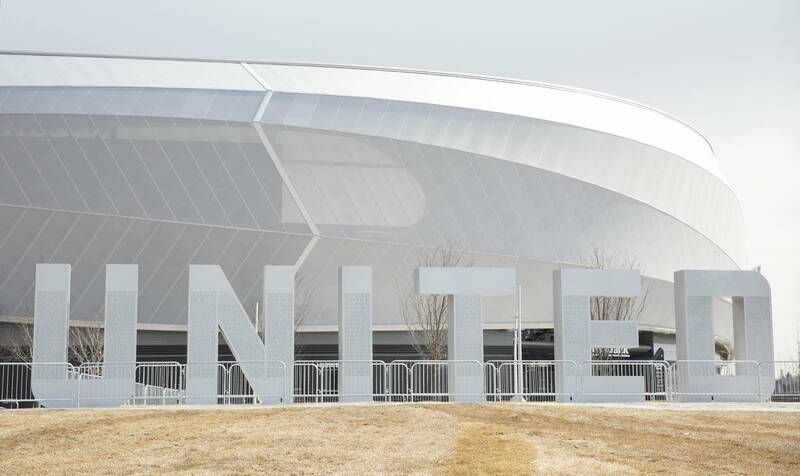 St. Paul officials are expecting all 19,000-plus seats at Allianz Field to be filled Saturday for Minnesota United's first pro soccer game at the new stadium. But with limited parking available, city officials are hoping lots of fans will walk, ride their bikes and — especially — take public transportation to the game. "Our hope and expectation is that a lot of fans are going to want to take advantage of the Green Line and the A line to get to the game," said Sam Fettig, who is in charge of soccer-related communications for the city. "Quick easy in and out, drops you right at the door. And the team and the city are also working to provide good parking options for fans who want to drive." A transportation plan prepared for the city estimates that more than a third of stadium patrons will take light rail or bus rapid transit to the stadium. It also estimates that nearly a quarter will walk, bike, take the bus, hail a taxi or use a ride-sharing service like Uber or Lyft. Nearby parking options include some spots on the stadium grounds, others within walking distance and more at the state fairgrounds with shuttle service to the stadium. "We know we're going to learn from our experience with the first game, from city officials, whether it's St. Paul Police Department or other city staff on the ground on game days watching," said Fettig. "But we also know that business owners and residents are going to be the first to know if something isn't working." Fettig said the city is counting on them — and fans — to help tweak the system. Officials with Metro Transit, the state transportation and public safety departments, the St. Paul Police Department and Minnesota United have a press availability at the stadium on Wednesday afternoon to discuss logistics for the first match, which starts at 4 p.m. on Saturday against New York City FC for a game on ESPN. And after this week's predicted snowstorm, fans could be trekking through snow for the home opener.